Crunchbang Linux 11 DVD (64-Bit) | Linux DVD Shop - UK Linux Shop supplying Linux on CD, DVD and USB with Free UK Delivery, 24Hr Dispatch. CrunchBang Linux is a lightweight Debian based Linux distribution. It uses the Openbox window manager and is especially suitable for low-end hardware with limited resources such as the ASUS Eee PC. CrunchBang can be run as a Live CD and fully installed from the same CD. CrunchBang Linux is designed to offer a good balance of speed and functionality. It has a fast boot up, includes a large number of applications by default whilst remaining lightweight and secure. It operates well under low resources so can work well for some older PC's. AbiWord and other GNOME Office components. 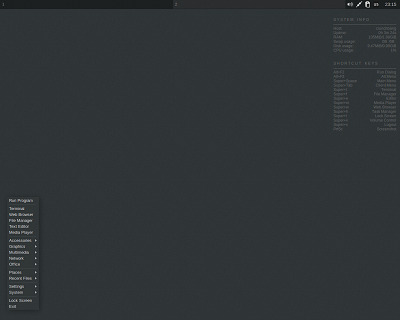 CrunchBang also uses a different GTK theme, icon set and default wallpapers.